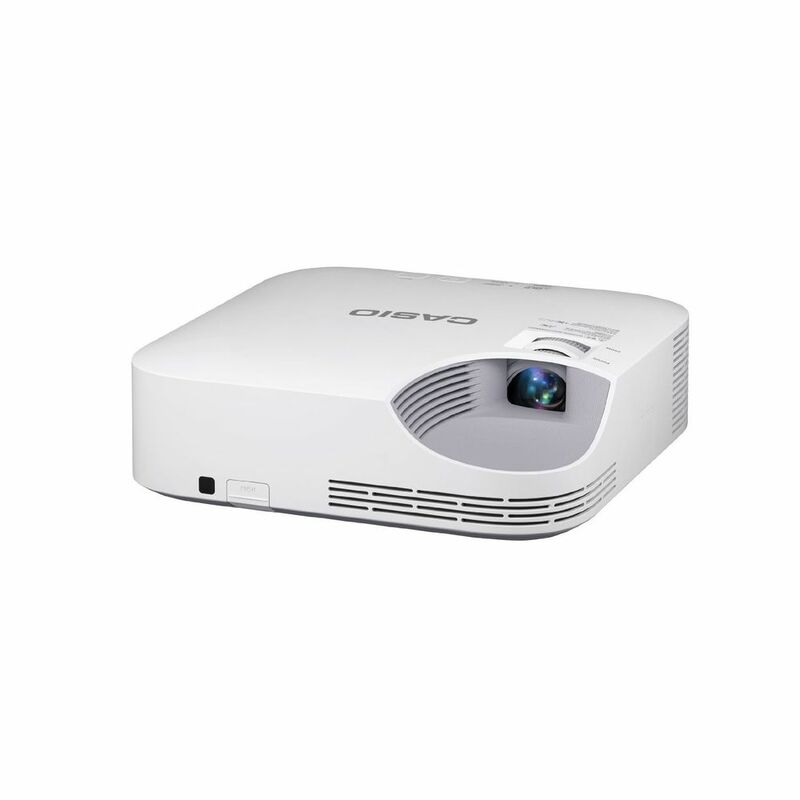 Screen Size compatibility: 30 - 300"
The XJ-V1 delivers reliable long-term operation, exceptional image quality, 2700 lumens of brightness & connectivity and is ideal for use in classrooms, on the road or in the boardroom. Go mercury-free and be safe.LampFree Benefits: Laser & LED Hybrid Light source20,000 estimate operating life No mercury No Lamp Replacement No Down Time Quick ON - full brightness in 5 seconds Instant Off-key Features: Laser & LED Hybrid Light source Brightness: 2700 lumens Resolution: XGA (1024 x 768)Display Device: 0.55" DLP chip x 1, DLP system Lens: 1.1 x Manual Zoom/Focus Throw Ratio: 1.54-1.71:1Terminals:RGB (15 pin HD)HDMIRS-232 (9 pin D-Sub)Audio (3.5mm stereo Mini - Variable Audio Out)Dimensions: 10.6"w x 10.6"d x 3.5"hCeiling Mount: Yes - Four (4) M4 x 4Reliable Operation and Low TCO.Its Lamp Free Projectors are reliable and built to last, with an estimated light source life of up to 20,000 hours. The EcoLite projector is covered by a 3-year parts and labor warranty, plus 5 years or 10,000 hours on the Hybrid Light Source. Our industry-leading warranty makes our already low Total Cost of Ownership (TCO) even better, and users can expect to easily save up to $1000 on lamp cost during the warranty period.